In this category we review some Best Spy Gear For Kids, You can easily grab them and your children will love that spy gadget. If you are looking for Spy Gear For Adults we discuss that as well in another article as well.Here is CIA museum where you can see many spy gadgets of real agents. So here we start our discussion about some Cool Gadgets! The mind of child always grow ups and think about many discoveries around them. They are always little curious about spy thing like some child want to become a spy agent. This is one of the best spy game which makes their games more complex and interesting for them. These spy games help the child to grow up in a better way. These spy gear for the child will help child to thing bigger and batter. They make some new games while playing with their spy gear. 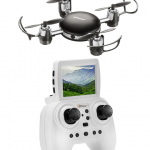 Many different options are available in the children minds like they might fly a drone and captures the flying bird. They might want to see around with their binoculars to see the birds nest outside their home. They might love to play detective games. 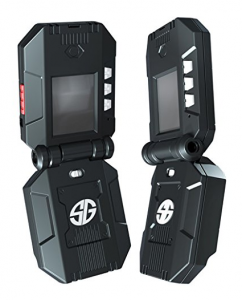 In the list of best spy gear for child the number one, we have these Spy Gear Walkie Talkies that gives you 2-way audio and video communication. The range of this spy gear is up to 160 feet you can stay in connection with your other agents in 160 feet. So you can easily use this as Spy Gear Listen and Watching Device. Easy to use just press the button and communicate with your other agent. 6 AAA size batteries are required for this spy gadgets. This walkie-talkie is also used for the hidden camera. 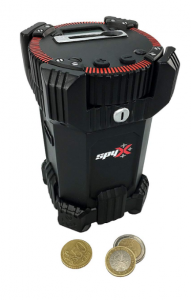 Place one of your WalkieTakies in a secret place and press the activation button of the second WalkieTalkies you’ll instantly have hidden live-feed surveillance can. You can also get Spy Gear Walkie Talkies Instruction manual with the set. Spy Gear Mission Set! Become an ultimate secret agent! This Misson comes with a Wrist Blaster, Motion Alarm, Night Spyer, and Spy Pen Blaster. 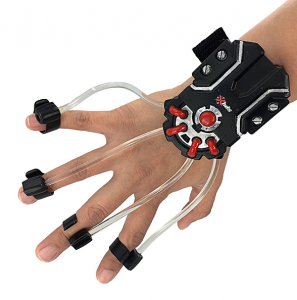 With the Wrist Blaster, you can easily fire the finger activated quickly. 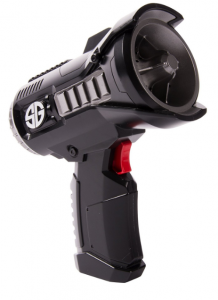 With the Night Spyer, you can see in the dark or observe up to 25 feet away. 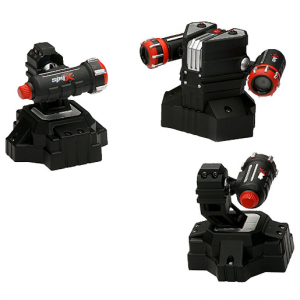 It is a 2X magnification lens and a red beam of light help you to see clearly everything. Write and send messages with Pen Blaster. Motion watch will help you warn if anyone is too close! So its a complete spy gear mission set for your little once. They would love to play with this spy gear set. Now you can explore the dark city of Gotham like Batman. 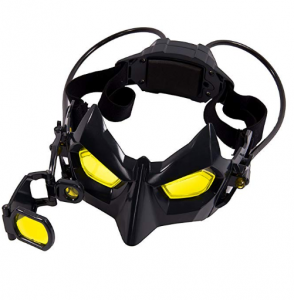 These Batman Night Goggles provide you LED light for night vision to see in the dark. Everywhere you can turn you can shine the night vision light and become hand free. Easy to use for the child. 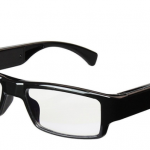 With this Spy Gear Glasses, you can become a good detected because you can look closer with it 2X magnification glass lens. Great gift for Batman lover child. Every child has some hero so if your child love batman stories then this Batman spy gear is the best gift for them. 2017 Award winner by this toy maker. 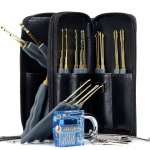 This collection of spy gear includes some amazing items like Micro Ear Light, Invisible Ink Pen, Micro Motion Alarm, Micro Listener, and adjustable utility belt with attached clips that will help you to carry you spy tools anywhere. Children can easily add all these things in their Spy Gear Belt. This spy gear kit for kids feels your child a complete spy agent. This spy gear set for kid makes your child a real spy agent. This spy set for the child including many spy gear that helps them to play for long hours. The best thing about this spy gear set is the child can play a different type of spy games with this spy gear set. In our list of best spy gear for kids. This is one of the best awesome gadgets for kids. Field Agent Spy Watch is a real spy gadget for children. 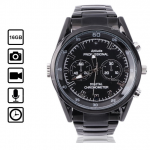 This is one of the best spy watches. 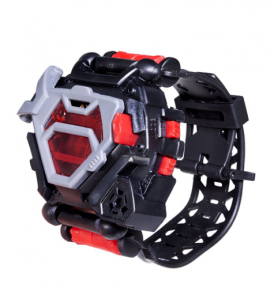 This spy watch has red beam light in it which make this watch more attractive. Perfect wrist watch for a child under 10 year. Easy to operate for the child. So the child can enjoy playing with this spy watch. With this spy watch child can deliver, decode secret messages using the secret spy paper of this watch, it has safe-drop capsules and decoder screen. Detect intruders with the built-in motion sensor alarm. You can also enable time mission to complete your task within time. The international timetable is also available in this watch. This invisible ink pen will help the child to write a secret message. Child can write any and leave for some time after some time when the ink dries. The message will disappear. So it’s your child secret message that disappears. So you can read this message with a shiny light of your pen. One of best delight full addition in the list of child spy gadgets. 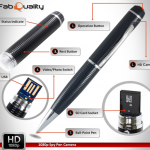 This spy pen has the ultra flashlight that runs with three button batteries. It’s pocket clips with the help you to get it with you anywhere. So use this spy pen for passing notes around your friend and family members. Just make sure to put your note somewhere easy to find. Being able to write and read some secret message. 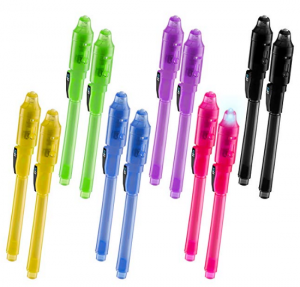 Best spy pen for the child to play with their school and family friends. Spy gear for the child, these spy gear are so impressive for the child. 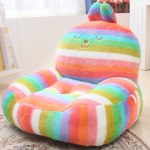 Best design for child and very comfortable to use. This spy goggles will help the child to see the thing up to 30 feet as the suggestion of the product. Easy to select long and short distance with this spy gear goggles. Best design spy goggles really comfortable for a child to use for a short time. Add infrared attachment over your goggles to activate the night vision. Easy to attach or remove the infrared attachment. Invisible LED beam will help you to protect your thing. This product can easily adjustable up to 360 degrees. You can easily adjust your valuable thing in it and whenever someone crosses the line alarm will be the start and flush light will be on. Children can use this gadget for knowing that someone is trying to use their stuff while playing different games and enjoy. Your children can easily use this spy gadget and feel the experience of the ultimate spy agent. You can also connect multiset to secure a large area. Children are using this gadget for their pets as well they set LED Beam Barrier around pet’s food when their pet’s cross the laser beam alarm will start and light start blinking. The child can also use this as Spy Gear Door Alarm. You can also called this child gadget a science toy for kids. There are so many other ways to use this gadget easily. Recommended age for this gadget is 6 to 12 year. It will turn your hand into a lighting hand. Children will love to wear this gadget in the dark and make fun with this amazing gadget. The tube will glow to light your way with 4 bright LED’s. One of the best spy gear for kids. You can also keep 2 light on and 2 off for the dual operation. Its Elastic strap sits comfortably on your wrist to leave your hand free to do other spy stuff while playing spy games with you buddy. This is a complete fun gadget for your children. They will definitely love this! Note: This light hand is best for 6+ years child. Keep your money safe with this Secret Coin Safe. Coin counter can also help you to count your money and its LCD screen will show you the value of your money. It has a secret button to open it so your enemy can’t know where to open this. Dark material to hide this easily and compact size for storage. 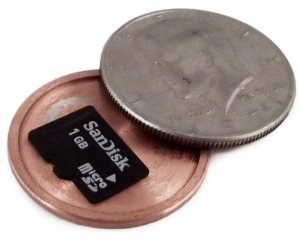 This coin safer is in our list of 10 Best Spy Gear For Kids. Because children can save and secure their saving easily in it. And this child gadget increase craze in them for saving. Best gift for the child that wants to save their pocket money and make them secure with their secret coin safer. Note: This gadget is just for children of more than 6 years. Here is a binocular for kids easy to use for both boys and girls. This binocular has 8*21 high-resolution real optics which give you the real result. Adjustable neck strap so the child can customize it according to their need. 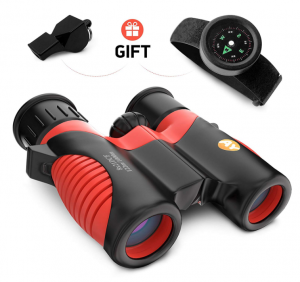 This binocular includes a compass that also helps the child to learn about directions. A whistle with this binocular also helps your child to gain attention when they found something while watching with their child binocular. Also, get a compass with this binocular that helps the child to know the direct during hiking or some other outdoor activity. You can also get a whistle with this binocular. That can help the child to gain attention at a far distance easily. 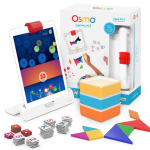 Great birthday gift for the child that loves to play outside of the home. This coin just looks like another coin if you mix this coin with other coins then it’s very difficult to point it out. These Conver Coins are expertly handmade from real coins to create a secret interior compartment within the coin. The Coin has the tight seal so they can be handled without the chance of accidentally being open. Each Coin comes with an opening ring, without this coin is nearly impossible to open. 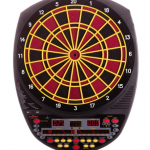 We try our best to give you Best Spy Gear For Kids and their unbiased review that help you to choose best for yours. Give us your feedback below in the comment section. Here is a waterproof camera for the child. If your child loves to take the photo during swimming then this is the best gift for your child. It helps them to take photos easily. They are able to make their own gallery with this camera. 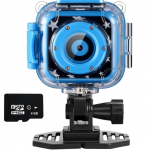 Camera support up to 32GB micro SD card. Built-in 3.7v rechargeable battery. The camera is able to support photo and video. 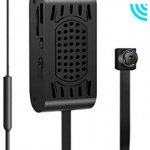 Child can easily see their recording and also delete with this camera. So the waterproof camera for child help child so makes some amazing video when they are in the water. Great fun for the child to make a video during their swimming or playing in the water. For beginning kid one of the best spy case detective set. Best spy gift for the child that love to play detective games with their fellows. 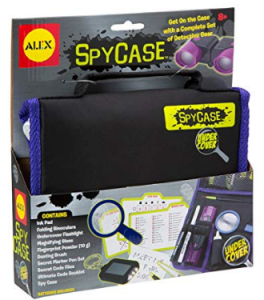 This spy detective set includes Inkpad that will help a child to highlight elements. A foldable binocular is also included with this detective setting. A flashlight to see the thing in low light with this spy case detective. A magnifying glass is also included with this spy detective set, that will help the child to see things deeply. Fingerprint powder is also included with this spy gear set that will help the child to identify things with powder. You can convert your voice into 8 different voices. Disguise your voice into 8 unique voices. By holding down the trigger you can change your voice and confuse your friend. This voice changer help child to select different voices. Also, helps the child to make great fun when they are playing with their companion with this voice changer. Choose 8 different voices effects like Megaphone, Alien, Chipmunk, Cyborg, Ghost, Echo, Spy, and Man! Just required 2 AA size batteries for operation and start the fun. Note: This gadget is just for children so its sound is not too much loud. While it’s not easy to choose the best spy gear for their child as there are hundreds of spy gear for kids in the market. It’s just like reading some type of secret message that will not understandable by a human easily. So its also not easy for us to make a complete list of spy gear for the child. So that’s the main reason to take a review of different spy gear for kids. It’s a never-ending process of getting a review of different spy gear and evaluation. So we are always looking for best spy gear for the child that will look cool and easy to use and understandable for different category of the child. We are always looking for some best spy gear for the child that will help them to teach something new. We are also looking for the quality and safety of the child. We know parents are really worried about their child safety during any type of game that their child is playing. So this is another reason we go deeper and trying to find the best spy gear for the child according to their motivation. So you can see our list of spy gear for a child that has many spy gear for child that is not harmful to your child at any cost. You can see we have some Walkies Talkies that kids use to play while their companion is in another room they use it to talk with each other and pass some secret message. We have a ninja mission that will help the child to become a little spy agent and playing different games. The Batman series always source of attraction for kids we have Batman glasses for the child that will able child to feel like their hero Batman. A complete Spy Set for the child that help to find something in their home. Spy gear watch for kids the best thing in our list that helps kids to pass the secret message with dots. Its light beam help child to look the thing in the dark. Basic thing of Spy Pen that has invisible Ink that sends the secret message to the child. 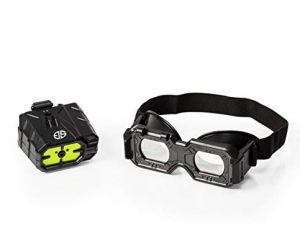 A night vision goggles set that also help the child to look in dark. 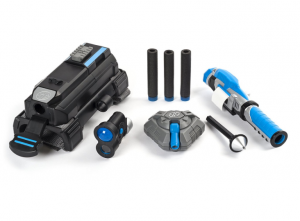 A beam leaser set that helps kids to secure their property. A light hand that blinks in the dark and look amazing. Coin safer that help the child to secure their coins in it. Then a binocular with compass help child to watch thing closely and compass help then to learn about direction. 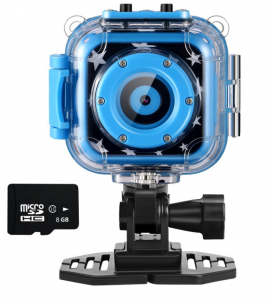 A waterproof nanny cam help child to record video in the water. A case detective set. Then a voice changer help the child to make different voices. Q: What if I’m no tech guy are these spy gadgets easy for the child? A: It’s very easy to use you can just read the manual with the gadgets then you can easily use all these gadgets. All these spy gear for the child are simple and easy to use for any child. Q: What do I do if my child has no longer interest in gadgets? A: There is always an excellent resale value for all these spy gadgets. So don’t be worry about this thing every spy gear for a child in this list has some worth in the markets as well. Q: Can I find additional accessories for these toys? A: Yes you can find additional accessories for all spy gadgets. You can check the spy gear for child and their additional accessories by paying some extra bucks with price mention. You can also directly contact with the seller of that product. 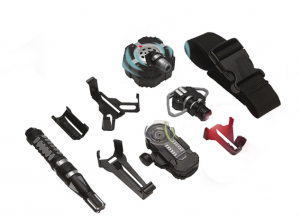 Q: Are these spy gadgets are suitable for Halloween? A: Yes you can use these spy glasses for the child as Halloween gift. Many of these spy gear for the child are used for Halloween. So you can easily choose any of these spy gear for the child as Halloween gift for your little one. Q: Are all these gadgets include batteries? A: you can check them some of them are include batteries some are not. Mostly AAA batteries used in these spy gadgets. Many spy gear for child needs batteries so you can check how much batteries required to start playing. here at this weblo?, thanks admin of this website. cool. I’m impressed by the details that you have on this website.